Got bored and took some pictures of the AR. I really want to like it and it shoots great when it works right. It's the most picky gun I've ever shot. Looks nice though and figured I'd show it off a little. 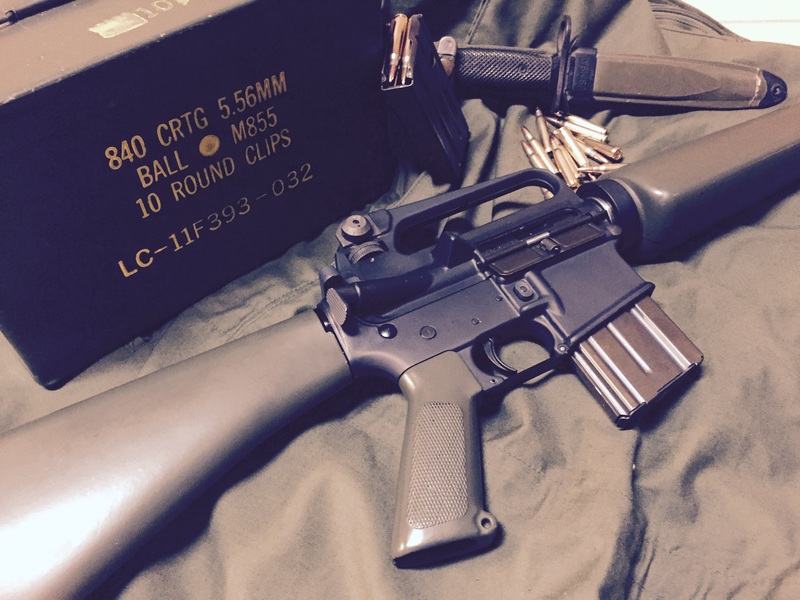 What vintage is this AR? And what is that furniture? Funny you should say that about reliability. I shoot competition and I have seen AR's have issues all the time. The owner always "Can Explain"... But I have never had to "explain" anything about my Glock or AK Rifles. The ar is a preban eagle arms build, the furniture is all a1 surplus and it has a 3 prong flash hider. 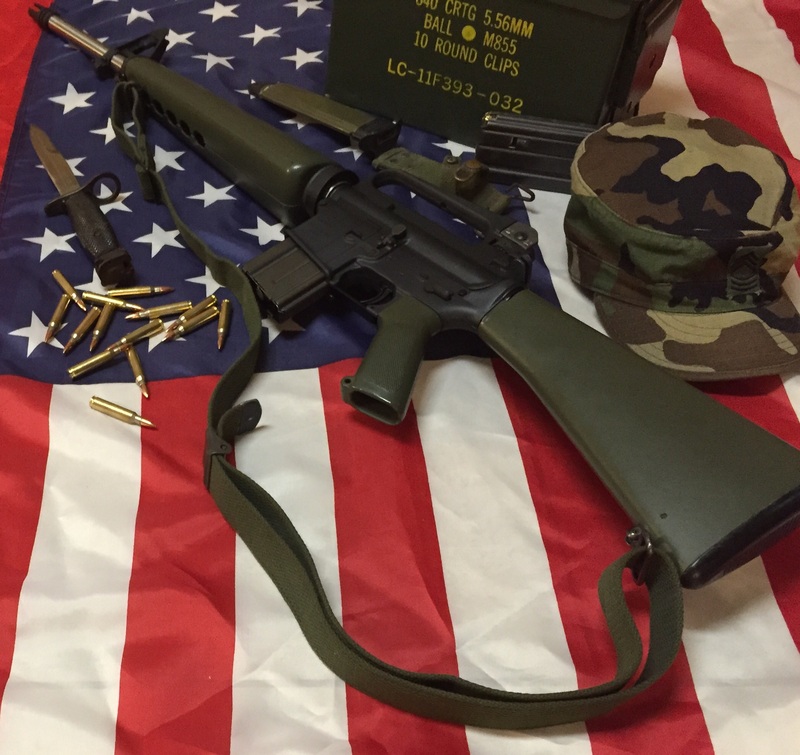 I did have to modify the front handguards because of the size of the barrel compared to the original m16 they came off of. I really like shooting the ar and the accuracy that it has but when you have 3 or 4 jams or failure to feed every mag it starts to get old quick. I bought this week a new buffer and spring and need to get some range time to see what it does now. And you are right, can't get much more reliable that a ak or glock. Have you had any experience with a ak chambered in 5.56? I looked at one the other day at a local shop but I've never heard from anyone that has one as to how it does, figure if the ar keeps acting up I'll need something to be able to use all of my 5.56 in. They are rare. I have never shot one but the WASR-3 does not have a lot of good reviews. Or, sell the 5.56 ammo and buy whatever else you want:).